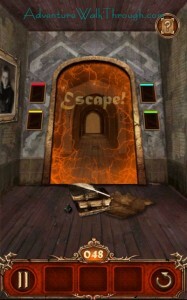 We have written complete strategy guides to help you escape from all the rooms in Escape Action. 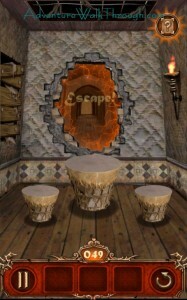 This guide post features Escape Action Levels 46 to 50. 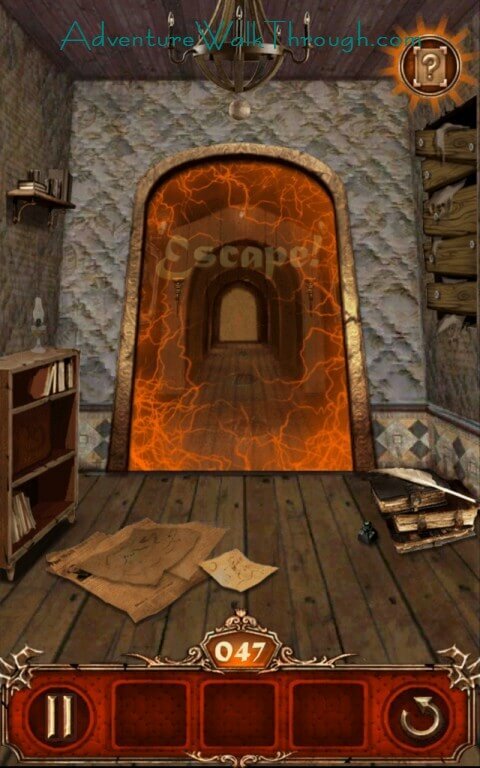 Please feel free to leave comments if you are still having a hard time to escape and beat the stages. 2-1, 2-2, 3-2, 3-3, 2-3, 1-3, 1-2, 1-1, 2-1, 2-2, 3-2, 3-1. 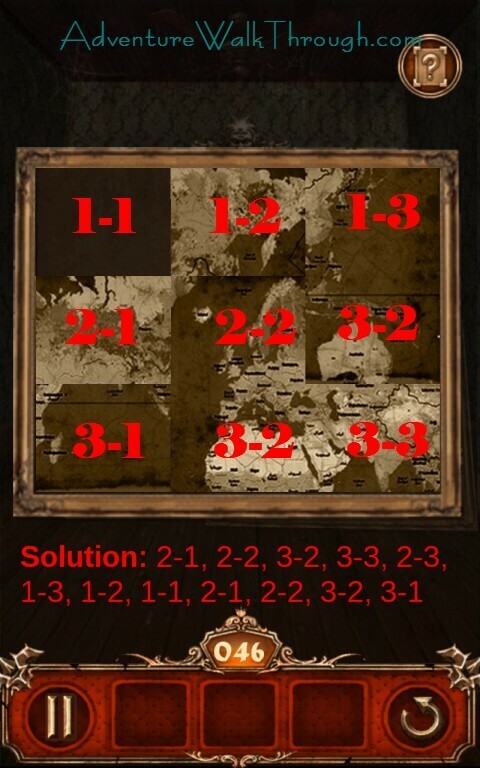 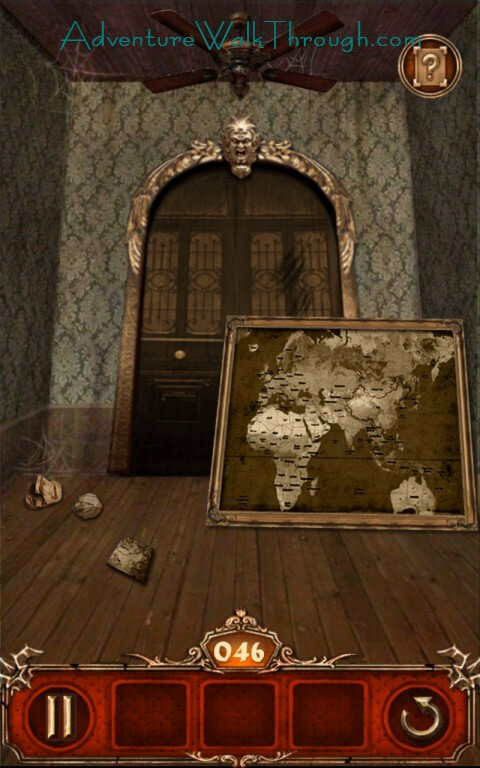 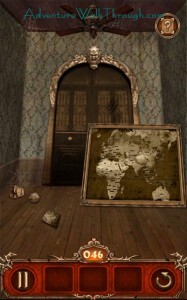 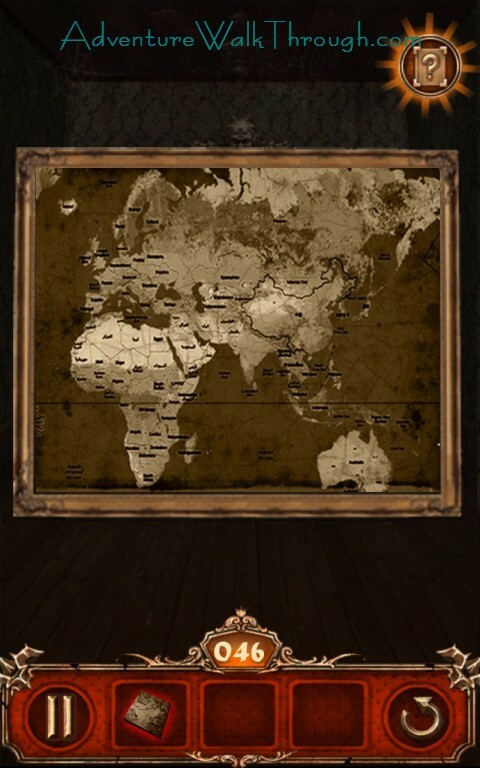 After setting up the map picture, tap the globe fast to grab the last missing type. Place the missing tile 3-1 back into the map to open the room. 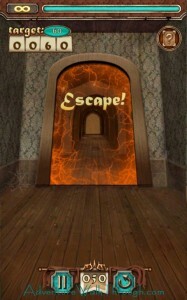 You can then escape! 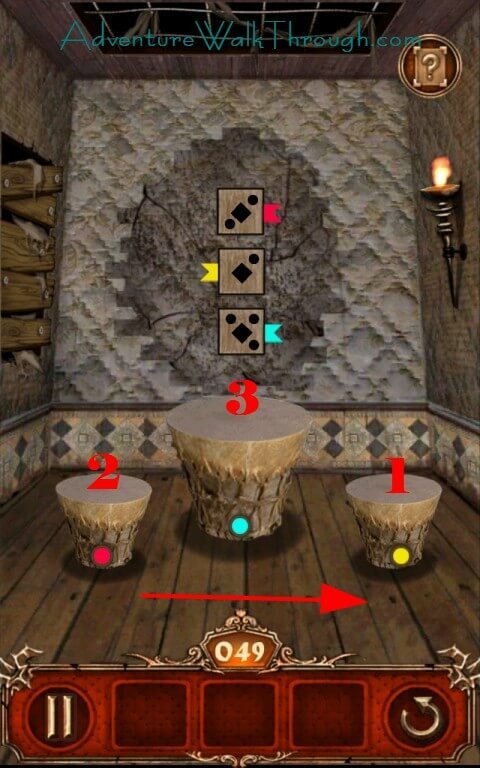 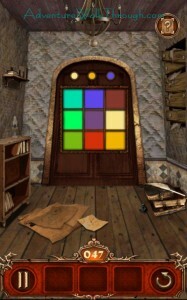 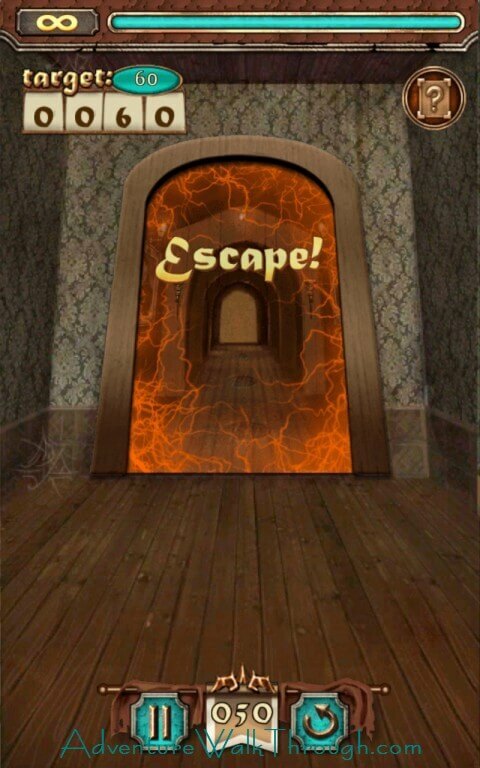 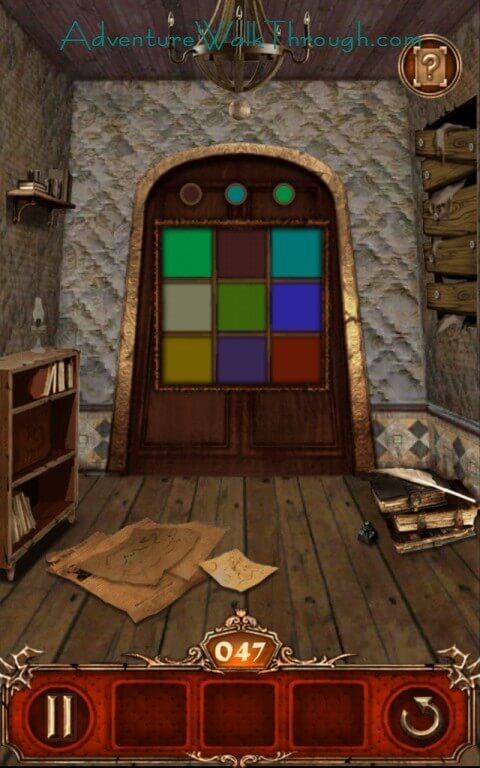 Simply tap all the tiles once to open the room and escape! After turning the gears with the number shown, you can escape through the opened door. 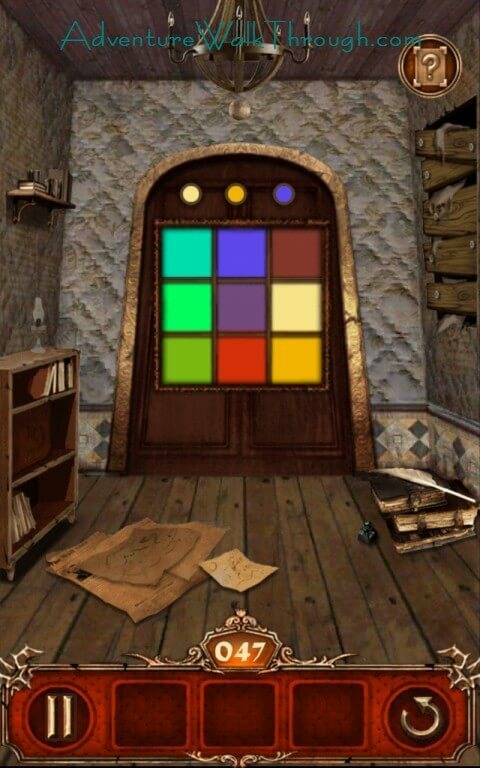 Tap to the torch to the right of the door to reveal the clue. 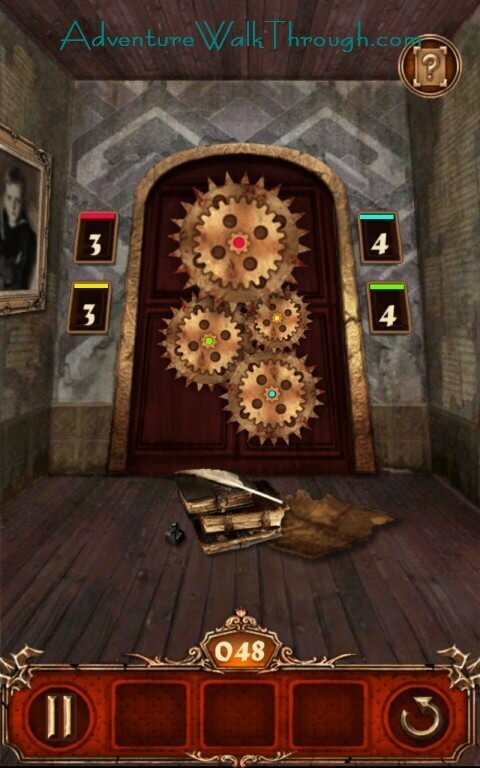 You will see some square buttons and circle dots. 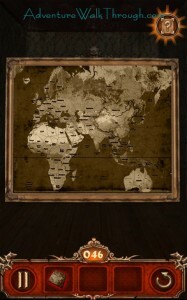 Each of the dot represents one single tap. 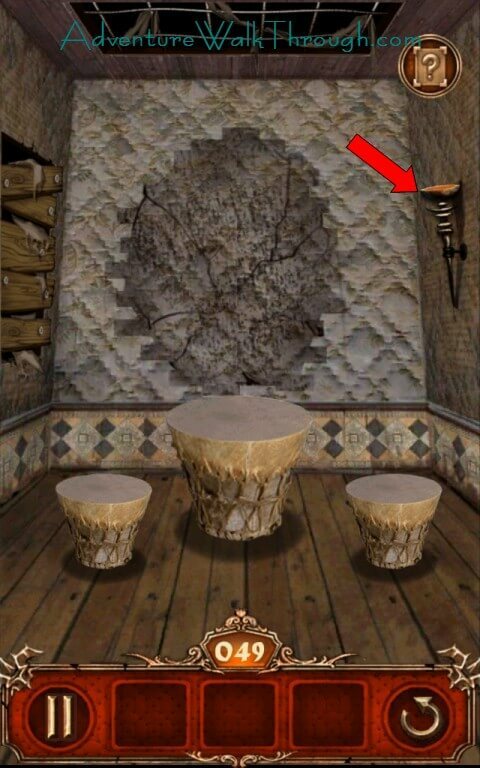 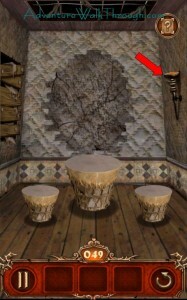 Your goal is to tap on each of the drums from left to the right. 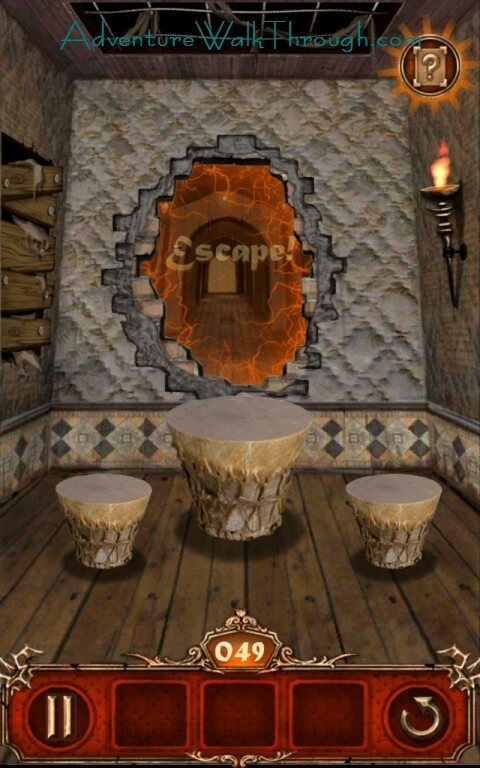 The wall breaks after you finish the tap, and you can then make your escape. This is a tough challenge where you have to land all of the animals on the platform. 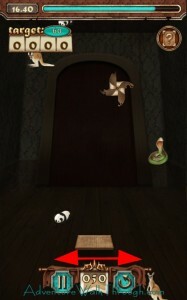 Each animal grants you 1 point and you will lose all the animals if the windmill touches your platform. 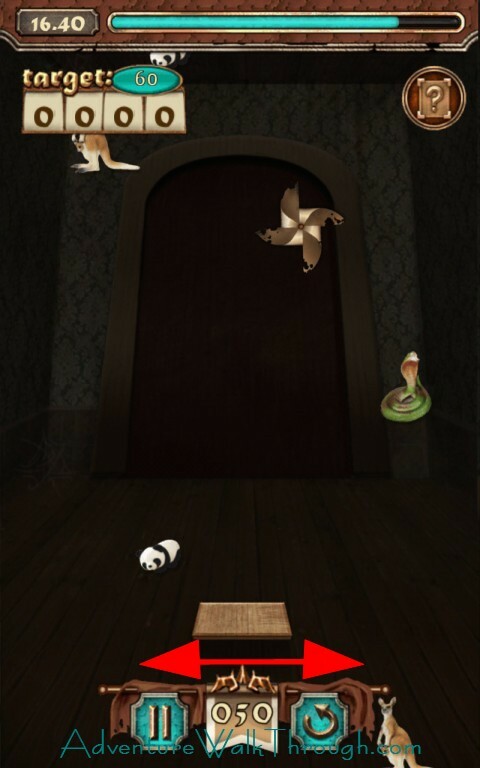 This level is barely possible if you catch all of the animals within the time frame. 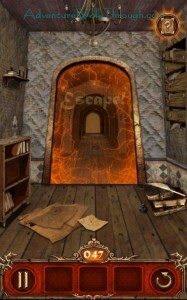 However your best bet is to purchase time extension to help you. We recommend practice a few rounds, then purchase the amount of time needed to complete the level. 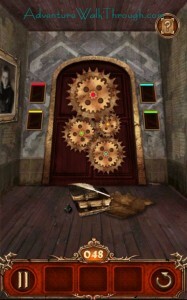 Infinity time is not absolutely necessary. 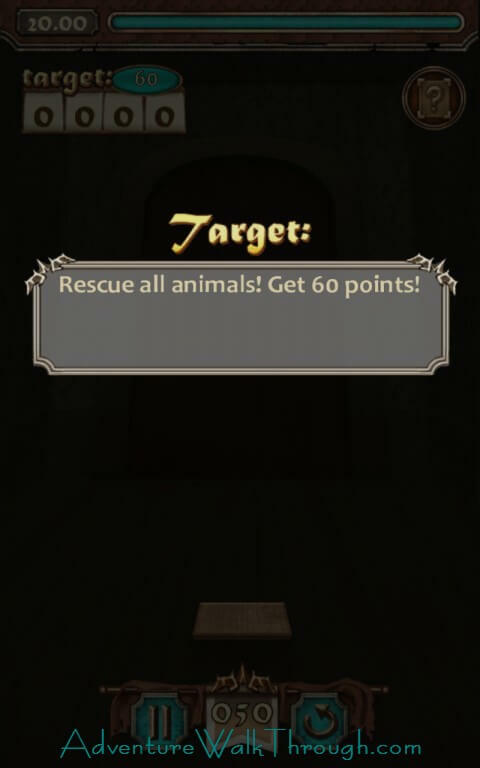 It should also note that you can earn extra coins through Daily Bonus, Achievements under the Menu, or shop with real money. 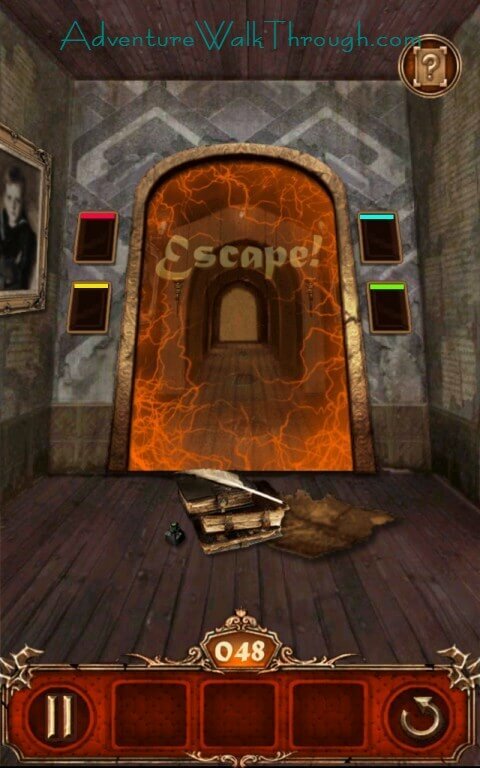 After collecting enough animals and obtaining enough points, the door unlocks and you have escaped!